Our quick impression from a full day and a half spent inside the Clearwire bubble, at the company's "official" market-launching event in Las Vegas on July 21: The nascent national WiMAX-providing company seems well past its sometimes-confusing stumbles of 2008 and into full execution mode, showing it can put on a confident, coherent local event even as its overall marketing, pricing and demographic messages remain somewhat a work in progress. The ability to stage a fairly seamless, fun and informative day on the small stage of Las Vegas still doesn't answer how Clearwire will fare when it takes on the bigger challenges of market launches in places like Chicago, Dallas and Philadelphia, which still lie ahead on the company's ambitious 2009 rollout schedule. 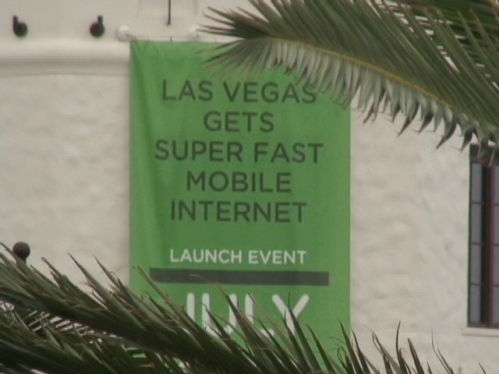 But embedded within the Vegas-flavored parts of Tuesday's proceedings were some new, strong marketing messages, which, if coupled with continued execution on the networking side of things, should bring cheer to Clearwire investors, partners and customers as the WiMAX express rolls onward. 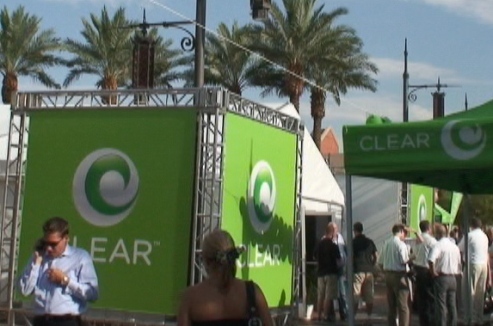 While we'll dive deeper into some of the proceedings and interviews we conducted during the event in later posts and reports, Clearwire followers should remember the line "more for less," which we heard quite often Tuesday and will likely hear again and again at subsequent launches. Until now, a big problem with Clearwire's WiMAX offering has been that the company itself didn't know how to best position it -- how exactly do you best pitch a service that delivers wireline-like broadband with the mobility of a cell phone? Before the Vegas event, you could and often would get different answers depending on which Clearwire executive you spoke to. Tuesday, several different executives all seemed to be "on message" with the cost-saving idea, making it pretty obvious to anyone listening that Clearwire's promise was mainly about giving you more of what you need -- mainly Internet access -- for less. By de-emphasizing the mobility part of the message (for now) in favor of the flexibility of WiMAX's portability and even more in favor of the overall cost, Clearwire has something that sounds more appealing than past muddled pitches, especially in the current economic downturn. As more devices like Samsung's impressive Mondi mobile Internet device start to pop up on the Clearwire radar screen, perhaps the company can and should increase its mobility messaging. But until WiMAX gets a device as powerful and easy to understand as the iPhone, it probably makes more sense to stick to the budget-saver mantra while making sure the markets keep launching as planned. Need to Know more about Clearwire? 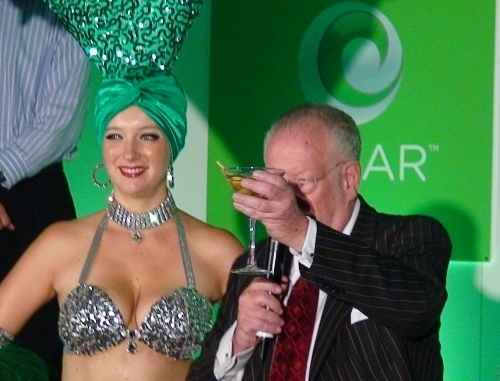 Order our CLEARWIRE NTK report, or Clearwire "need to know," for just $4.95 -- cheaper than a single hand of blackjack at most Vegas casinos. And a guaranteed win!